The perfect West Oxfordshire venue for parties, Christenings, wedding receptions, seminars, children’s’ birthday parties, dances, sales, discos, concerts and events. 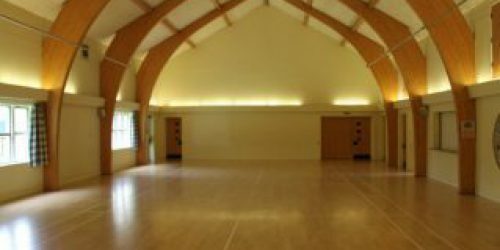 Stanton Harcourt Millennium and Memorial Hall was opened in 2000 and is a stunning modern wooden framed hall that is a popular venue for events from meetings to classes, exhibitions to weddings. The main hall with its high ceiling and wooden floor is licensed to hold up to 300 people with a smaller, carpeted function room that opens up onto a private, enclosed garden. Entrance is free and everyone is welcome to come along. 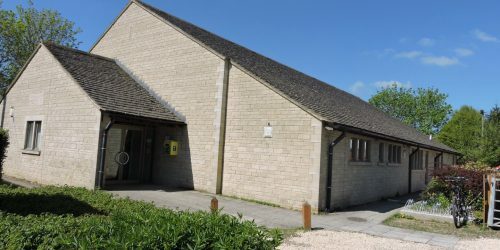 The Village Market & Cafe is run by the Village Hall Committee to raise money for Village Hall funds and to provide an environment for villagers to gather to catch up with news and socialise. During the refurbishment of the Harcourt Arms, the Post Office and Village Shop has relocated to the Village Hall. Run by Hitesh and Anita Nayee, the shop sells newspapers, milk and essential groceries as well as Post Office services. The Post Office will be open on Tuesdays, Thursdays & Saturdays from 9am-12.30pm. Please do support the shop and post office!